Kids in B.C. have been staying home from school this winter. Not because they’re sick — but because other kids around them are sick. As of March 19, there were 18 confirmed cases of measles in B.C. this year, and kids who aren’t immunized have been told to stay home to avoid contracting the virus. Measles is a very contagious disease that can be extremely dangerous. It spreads through the air or from sharing food or drinks with someone who is infected. It starts like a cold, but then a fever and rash can develop. In extreme cases, it can infect the brain and even cause death. How can you prevent the spread of measles? 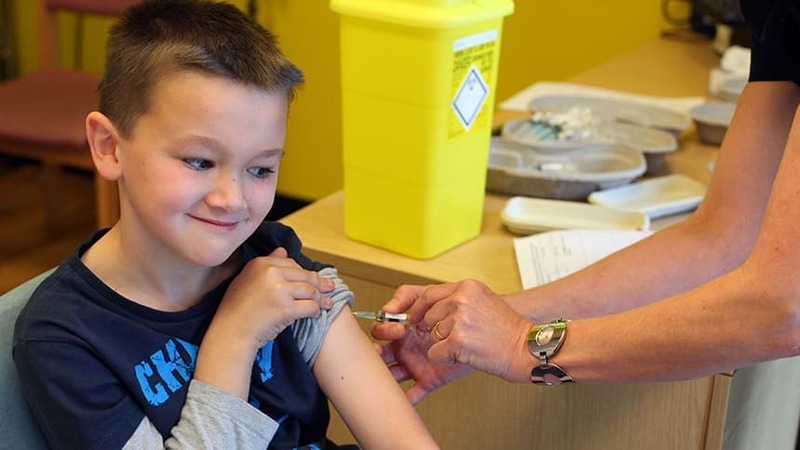 “The best and most effective way to prevent measles is to get your measles vaccine,” said Alyson Kelvin, a virologist at the Canadian Centre for Vaccinology in Halifax. In fact, thanks to the vaccine, Canada was declared measles-free in 1998. But since then, some parents have chosen not to vaccinate their kids because of fears about the dangers of the vaccine. “There have been countless numbers of studies done to show that the measles vaccine is safe,” Kelvin told CBC Kids News. But she said she understands why some parents are hesitant. Since they can’t always get the answers they’re looking for from their doctor, they turn to the internet, where there is a lot of misinformation. It’s become such a problem that Facebook, Pinterest and YouTube are taking steps to limit posts that spread incorrect information about vaccines. Kids in B.C. and across the country have been learning about the importance of vaccines through a website called Kids Boost Immunity. It includes lessons and quizzes about vaccines. When kids win, vaccines are donated to UNICEF to help immunize children in countries that don’t have vaccine programs like Canada. Senator Reid Elementary school in Surrey, B.C., is leading the charge. Thanks to the website, Zara Thandhi, 11, said she understands the importance of vaccines. “Getting vaccines can be important because not only are you protecting yourself, you’re also protecting other people around you,” she said. Check out the video above for more on measles and the vaccine. Isabelle MacNeil lives in Dartmouth, N.S., where she is active in the arts community. She has performed on the Christmas Daddies Telethon and plays clarinet in two local bands. Isabelle has developed a passion for acting and singing to go with her love of sport and volunteering. 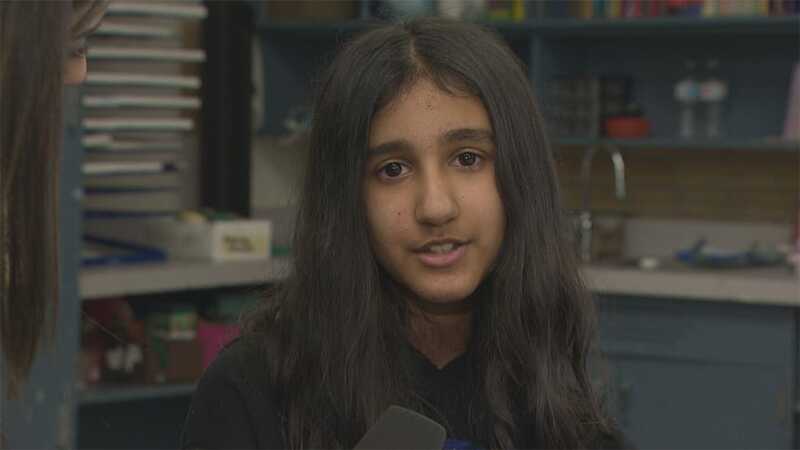 This 12-year-old leader hopes to inspire others as a budding entrepreneur and educate kids of all ages through stories. Isabelle is thrilled to be part of the CBC Kids News team and believes that giving kids a voice is more important than ever. 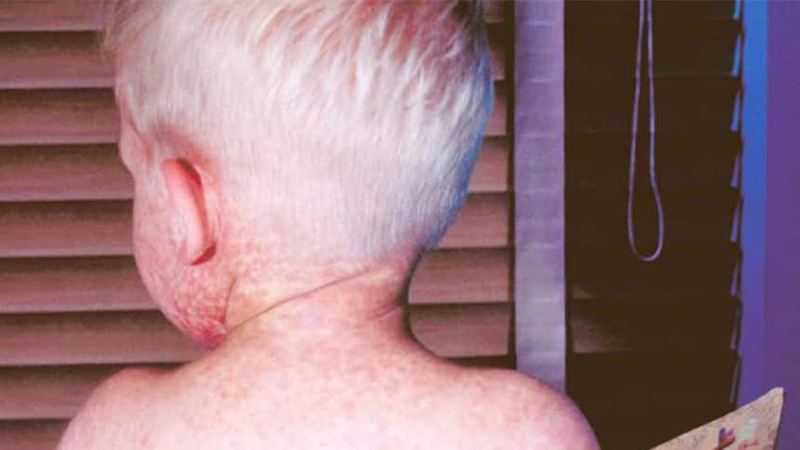 Why is there a measles outbreak in B.C. ?